It seems someone’s always charging a fee for something. Most Canadians are quite “anti-fee” as a result. Even the word fee itself conjures up resentment. It is therefore no surprise that first-time mortgagors are often disbelieving when they learn they’re being stuck with a few hundred dollars in discharge fees. Discharge fees are what some in our industry call the “goodbye kiss.” They’re charged whenever you “discharge” a mortgage and leave your lender. Virtually all lenders have them. The Toronto Star list below shows Ontario discharge fees at the major banks for example. Note that there are actually real costs (governmental, legal, etc.) involved with discharging a mortgage from title. So this fee is not simply a lender cash grab. Although it’s “interesting” that some lenders can be $100 apart for this service. Quick Tip: A few lenders will actually pay your old lender’s discharge fee when you switch. (Although, the lenders that do sometimes don’t have the best rates.) Ask your mortgage planner for details. This data provided by Fiscal Agents Financial Information Services, via thestar.com. Please confirm with your lender before relying on the above. Alberta realt estate and title laws forbid any lenders from charging a “discharge fee”. Another Alberta advantage! Because of this they do have the lowest discharge fee of any province . since it is only $5, your bank may have just paid it for you. Excellent point. In BC, as another example, they cap out discharge fees at $75. David, Thanks for the note. Did you see this link from FICOM (BC’s mortgage industry regulator)? I thought BC limits discharge fees to $75 as well. Actually Rob is correct. FICOM states that the maximum discharge fee any lender can charge in BC is $75. You can verify this by calling them at (604) 953-5300. Alberta is the only Province I’m aware of to protect mortgagors from this ridiculous and exploitative cash grab. See Law of Property Act (Sec. 45 if memory serves). That’s not to say that the banks -big ones too, who should know better – don’t ignore it and charge fees illegally. BC also protects mortgagors. As someone said above BC’s maximum allowable discharge fee is $75. please correct me if I am wrong, I am now $320 in the hole because of this discharge fee!! BMO charges $300 for transfers and an additional $70.50 for electronic registration of the discharge (on top of the $200). This is a real cash grab as I would have thought registration of a discharge would be included in the actual discharge fee. Yup, this was a shock to me. My mortgage broker told me that the discharge was $70.00. She was partly right – as indicated above, the discharge electronic registration is $70.50, but TD charged me $260.00 on top of that. Not pleased at all. Contact your provincial regulator and lodge a complaint against the lenders. i think it’s absolutely disgusting that after you spend 20 plus years paying off your mortgage that you are charged an additional fee – ranging from $75 to $270 to “discharge” your mortgage and release yourself from the lender & also have it registered against the title. The other thing that really irritates me is that if you decide to pay off your mortgage before its renewal date, you are charged a ‘penalty’. What a joke. There are actually two different fees applicable to mortgages – one is a discharge fee and the other is an assignment/transfer. So for example, if you were to change the terms of your mortgage or add another party, you would first have to discharge the original mortgage, then register the new one – both would be subject to applicable fees (discharge & assignment/transfer). From what I understand, the transfer fee is the fee your bank would charge you if you decide to go with another institution. What I am really ticked off at is the fact that I had my mortgage with Maple Trust and that mortgage has now been bought out by Scotiabank, so whether I like it or not, I am now bound by the terms & conditions of Scotiabank. Nice. This is exactly what started the financial crisis in the U.S. What will really be catastrophic for me is if Scotiabank either demands the payment of my mortgage in full or if at the renewal date, they refuse me credit. With the economy being what it is, anything is possible, despite the fact that I have excellent credit. Thanks Eric, but I beg to differ. I have held several mortgages on various properties in my lifetime so I have some experience in this field. I once had a five year term mortgage on a house but moved to a larger home before it was up for renewal. 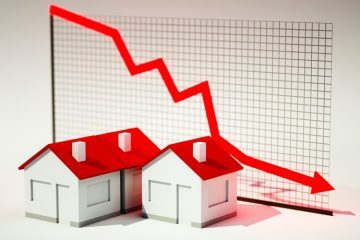 The bank gave me a blended rate as I was increasing the size of the mortgage but I was charged various fees for the transaction, which included discharging the original mortgage and registering a new one. We are at the mercy of banks, especially now at a time of global economic crisis. What if, at the time of renewal of my mortgage, the bank realizes that the amount left owing on my mortgage is more than the value of the property (not likely in my case, as my mortgage is relatively small but this happens to thousands of people). The banks have the right to demand payment in full or they can, in the alternative, refuse to renew, regardless of whether or not you maintained your payments and abided by their terms and conditions. I do know that when your mortgage is paid in full, the bank still has to discharge your mortgage and register same on title and you are charged fees for both. This is what I am primarily up in arms about. We have been advised by the bank that to sell our house now it would cost us $14,000 discharge fee instead of the usual 3 months penalty, which would be approx $3,800. They say it is because the interest rate is lower now than when we purchased our mortgage. How can they legally do this? Can we not dispute this? It pays to read the fine print of your mortgage agreement. Are you buying another house? Is the mortgage portable? I’d be talking to a broker, at the very least, if there doesn’t seems to be anything in your mortgage terms that you can go to the bank with and change things. Just received this lovely surprise gift from TD. Was all happy about becoming mortgage free when I hear about this next cash grab. Yes, I signed the paper – but even if I had read it, when it first appeared 17 years into my dealings, I probably wouldn’t have got what it really meant. Too bad they don’t have a legal obligation to tell you EVERYTHING – my advice now to everyone in or getting a mortgage is to pay weekly. I learned that from a friend, not the bank, but only after 15 years of monthly payments. AAARRRGGGHHH!!! Why I have to pay Scotiabank $275 discharge fee when I renew my mortgage with it? I thought “Discharge/transfer fee” is only apply for switching. Are you sure you aren’t refinancing? Are you changing to/from a Scotia STEP mortgage, increasing the mortgage amount, changing the amortization or other terms? Scotia Bank is asking me to pay off my mortgage because my mother passed away and she was a cosigner. Not only am I being charged the $270, but they want to charge me a $1600 prepayment charge!!! I am late on this but TD charged me 500$ they said “admin fees”, I had an open variable mortgage. Scotia does something similar if you break its open mortgage in the first year. Is this true?? My bank is trying to charge me a discharge fee to move my mortgage & I am in Alberta. Where can I find this law? That $11,000 is not a discharge fee. It’s a prepayment charge for breaking your mortgage contract early. You signed that contract and picked a bank that uses posted rates for its IRD charge. There is no one else to blame here. You should have sought out better advice. I just finished paying off my mortgage – First National sent me a letter congratulating me and also informing me of a $250.00 discharge fee. This fee is illegal in Alberta, where I live. Unfortunately, Section 75 of the Alberta’s Law of Property says a the fine for charging/attempting to charge this fee shall not exceed $500.00. I figure the lack of penalty makes it worthwhile for the banks to attempt to collect this fee. We just finished discharging our mortgage, and besides the 3 months interest penalty, all the lender charged us was $75.00. And, yes, we live in BC. But why does it take 30 days for us to receive confirmation? First National told me that I would have to pay $250 to get them taken off the title (I could also get a lawyer) and $275 as discharge fee. I’m in Sask. Would I be better off to get a lawyer re: the $250? I was charged a total of 280 when I moved my mortage from RBC to a credit union. Several months later I found that RBC had not taken themselves off the title, one of the things these fees are supposed to cover. Is this not a case of inventing bank profits? What should I do? Happens ALL the time. What did RBC say when you called in? I believe Discharge Fee if the Bank’s lawyers expense for deregistering/registering title. I am being charged $260. by TD to discharge and give me full title. They are also wanting to Charge Government Charge for Discharge (if applicable) and that will be $71.30. Here in Ontario things are done electronically at our Lands Title office. The electronic process was given to a private sector to maintain the continuity of record keeping. My bet is $20 plust tax to Prov, and balance to Private Sector. CIBC wants $331.30 “plus additional charges”. It’s obscene after being loyal customers who’ve paid thousands in interest over the years of the mortgage. My private lender is charging $750 as discharge fee. what can I do about this? If it is in the mortgage agreement you signed, there is nothing you can do. Just discharged my mortgage from TD, it was same as fellow above totaled to $330 in advance, will get the papers in about a month they said. 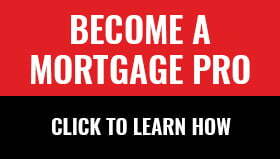 I live in Calgary and had my first ever mortgage from Firstline Mortgages out of Ontario. They didn’t charge me any discharge fee when I repaid the full mortgage for my first house in 2010. I had the option to repay it early without any penalty. Unfortunately, I didn’t keep the papers for my house. I still live in Calgary. Now I have my second house mortgaged through BMO. Apparently, at the moment, they charge $300 discharge fee for the Land Titles. Why did I pay a fee to Land Titles when I bought the second house? Can someone explain the reason for these two fees? I’m going yo ask my lawyer what he would charge for these legal proceedings, and if he’s cheaper. yes as of this Friday we are mtge free but paying 365.00 to MCAP for a discharge fee, like whats all involved another money grab and i asked the customer service guy at m cap he politely says to me, its the provinces that set the rate for discharging mortgagees is this true i hardly believe so, dam cash grab i can see maybe 150 or even 175 maybe but this is simply outrageous talk about gouging the poor consumer whose been paying interest for twenty five years or more nice way to say good riddance for your loyal service throughout the years -talk about gouging customers -UNREAL AND YES IM FROM SASKATCHEWAN i here the other provinces vary quite a bit for mtge discharges. I am in the process of a mortgage renewal with RBC in Saskatchewan, they charge $300 to prepare a discharge. Hi, I’m in ontario took out 20k 36 mo loan with a 2 k fee on top , loan that was suposidly “fully open “. I have paid on loan for 15 months -called to get payout figure was told owe approx, 21000 & there would be a 700.00 discharge fee ! Now the loan agreement stated they “may “ register something on title but nothing was ever asked or signed for by me in that regard and further there was nothing in agreement regarding any “ discharge fee or pre payment penalty.. is this discharge fee legal?